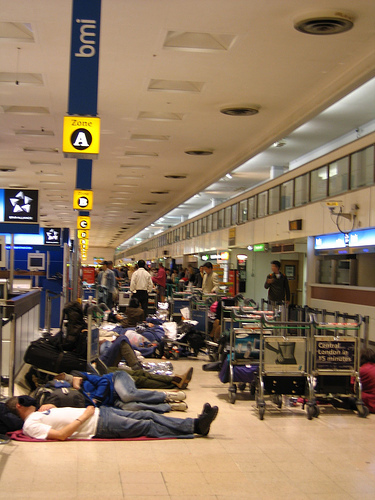 Imagine having booked all your flights and hotels for a 2-week trip around Europe and then landing at Heathrow airport from Singapore for a transit flight to Budapest – but only to find out all airport operations had been closed due to an airport workers strike! And it will be a few days before it can get back in operation and even then, there will be a huge backlog of flights to clear!! What a huge waste of time and money (due to non-refundable bookings!) and loss of privacy and comfort from having to camp in the airport trying to catch the next available flight! That is a quick summary of what happened to me a few years ago and the experience was really really bad and unforgettable. 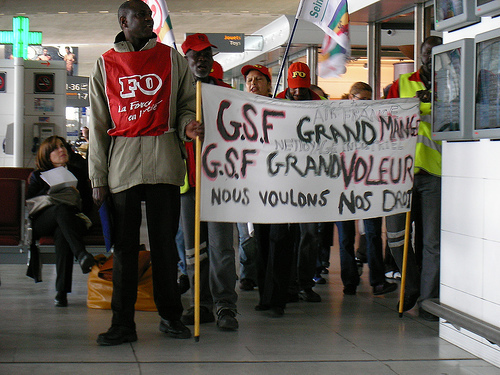 I am not going to debate here on who (management, unions or workers) is right or wrong in a strike situation – each party has their own reasons for insisting on what they want – usually better wages and working conditions for their workers; maintain profitability and manage costs from the management’s perspectives. Regardless of each party’s interests, there is no doubt that disruptions caused by strikes is very serious – from inconveniencing travellers to affecting a country’s economy and tourism. One thing for sure – Strikes should not be romanticized as “people power” or “only avenue of frustration against the evil corporate powers”. The reality is that strikes are not just about stopping work, making protest cards and shouting words of protest. Workers on strike don’t get paid by company, so their union has to reimburse their wages for every day of strike, not to mention financing the food, strike materials, tentages, lawyers if police arrests strikers who get out of hand etc. 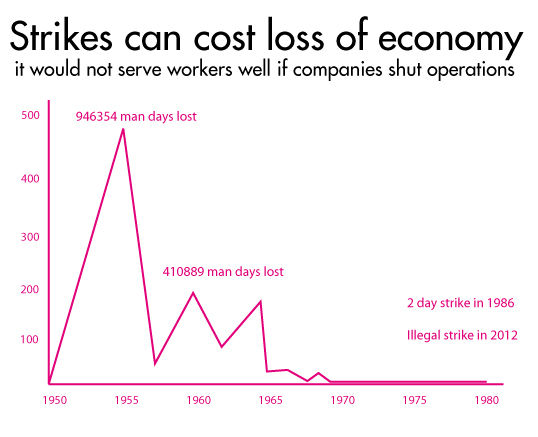 There is also a lot at stake in a strike. If the strike is unsuccessful and management doesn’t budge, the union loses credibility. If the strike is successful, other companies will still view the union as militant and can refuse to communicate with the union, or refuse to let the union unionise the companies, leading to stagnant growth of union membership. Thus, a strike is not necessarily a win-win for all parties involved. According to The Guardian UK, “a union sees a strike, not as an opportunity to flex its muscles, but as a failure of negotiation”. Even in the US, where freedom of speech is a constitutional right, 98% of industrial relations issues are still solved without a strike. So those who say a union must strike to be effective are usually people who do not understand the consequences of calling for one. In contrast, real unionists do not strike as a first option, but leverage on other methods such as collective bargaining, tripartism and escalating to industrial court. Singapore has come a long way from the bloody Hock Lee bus riots days in the 1950s to the current cordialtripartite relationship between the government (Ministry of Manpower – MOM), employers (Singapore National Employers Federation – SNEF) and worker trade unions (National Trades Union Congress – NTUC). The strength of tripartism is what differentiates the effectiveness of unions operating in other countries (resorting to strikes and demands) versus unions in Singapore (where tripartism, collective bargaining and the Industrial Arbitration Court work hand in hand to ensure a fair deal for workers without resorting to inconvenient strikes). 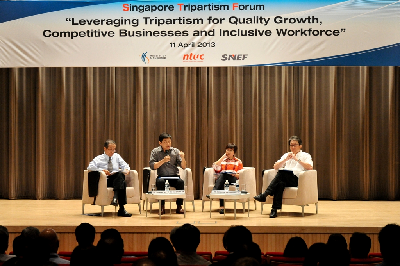 In Singapore, the aim of the tripartite relationship was and is to achieve economic growth and job creation for better quality of life, especially important when the departure of the British army in 1971 threatened to leave one-third of the nation jobless and a drop of 20% of our GDP then. Hence in the past, policies were pro-business to attract foreign investments to Singapore to fill in the gap caused by the departure of the British army. More recently, close tripartite co-operation helped businesses tide through the Asian and global financial crisis by cutting costs to save jobs. Currently, NTUC is pushing for wage increments for low wage workers through the tripartite National Wages Council (with SNEF and MOM) with 80% of unionised companies heeding the call, but with limited success of about 25% among non-unionised companies. To tackle the issue of those non-unionised companies refusing to give workers better jobs and better pay, NTUC is taking tripartism up to a sectoral level where unique problems of individual industries are tackled with co-operative efforts of the unions, government agencies and industry employers. One example is the legislation of the Progressive Wage Model for all cleaners next year which all cleaning companies have to adopt in order to get their licence. 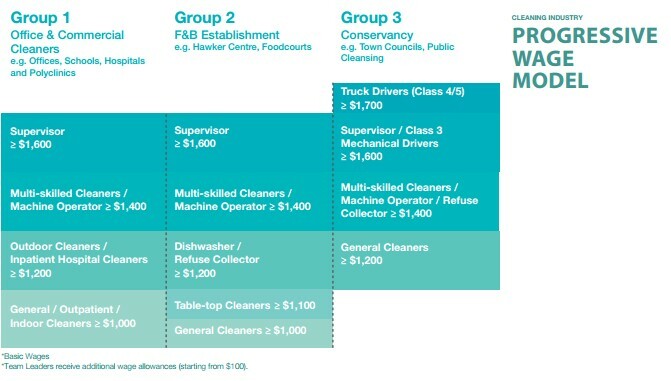 In this Progressive Wage Model, cleaners’ wages will start from $1,000/month, with a career ladder to increase their pay based on their productivity, skills and career responsibilities. This means that cleaners’ wages will not continue remain stuck at around $800/month (just because cleaning companies need to bid low in order to win contracts, and customers refuse to raise the contract amounts). Whilst unions in other countries (like Spain) have strikes, unions in Singapore focus on economic and job growth and work at a totally different level of tripartism to give workers better jobs and better pay. With regards to collective bargaining and grievance handling in Singapore, if a union is unable to negotiate a fair deal with company management for its members, it escalates to MOM for tripartite mediation. If a win-win solution is still not achieved at this level, the union can escalate the matter to the Industrial Arbitration Court to decide in favour of either the union or company. 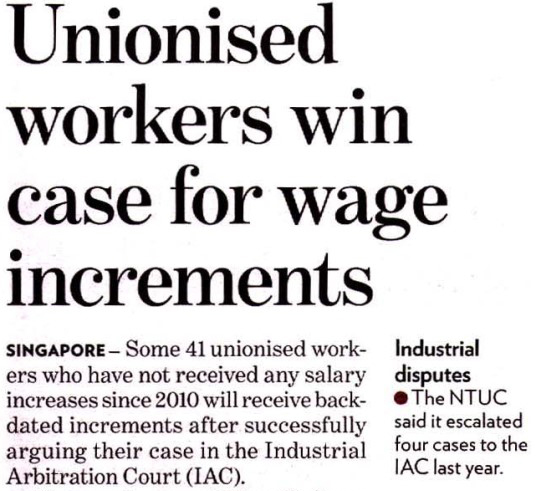 The point of all this is that there are many levels which Singapore unions can leverage on tripartism to solve work grievances without inconveniencing the general public. 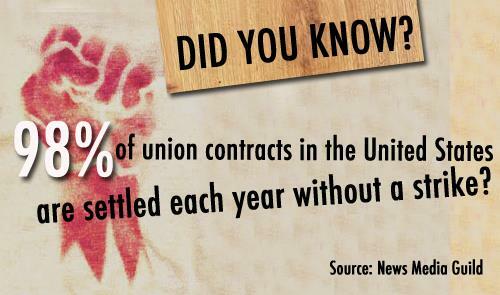 The key to this bargaining power is the union membership which gives unions strength in having a collective voice. But for workers who are not union members, the union cannot legally represent them, like the SMRT PRC bus drivers who unfortunately staged an illegal strike incident. These PRC bus drivers may not have been provided with appropriate advice on the proper channels to highlight their grievances with their employer. 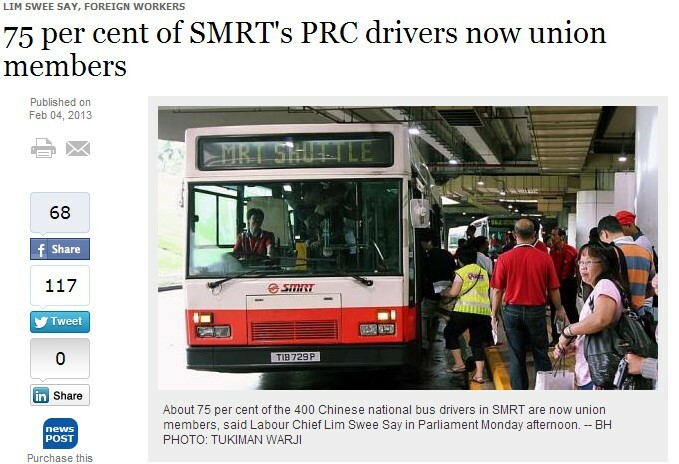 Because most of these SMRT bus drivers were not union members (I think about 2% were union members) – thus, they could not be legally represented by a union. The correct approach for them would have been to join the union – in their case the National Transport Workers Union (NTWU) – and highlight their grievances to NTWU which will then negotiate for better terms on the bus drivers’ behalf. The escalation mechanism of going to MOM for tripartite mediation and the Industrial Arbitration Court for ruling will still apply if no agreement is achieved. 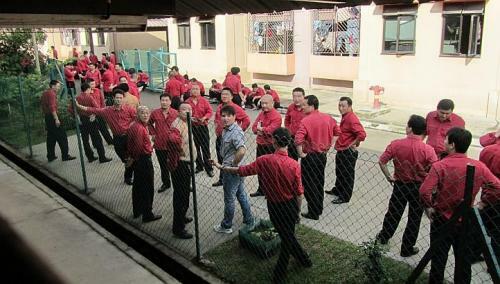 Now, 75% of the SMRT bus drivers have become union members. Oddly enough, some Singaporeans who are aware of this tripartite relationship tend to mistake the lack of responsibility of one partner as the failure of the other two. When jobs are cut, or wages don’t rise, very few ask the right questions, like why the employers and employer associations are not working in tandem with the government and union to provide better jobs and better pay. I wonder where this misguided assumption that the government and union should be the “be-all and end-all governor” of job and pay grievances came from, when the tripartite partner who directly holds the power to give jobs and pay well is actually the employer. Perhaps we need to look deeper, read further on facts and make our own decisions whether we should follow the trend of blaming the wrong parties and hoping in vain this will lead to desired results, or finding constructive solutions together that will help our Singapore move on better. agreed. there is always a lot of behind the scene work that we dont see to maintain the “peace” but lucky lah, strikes are indeed very inconvenient. 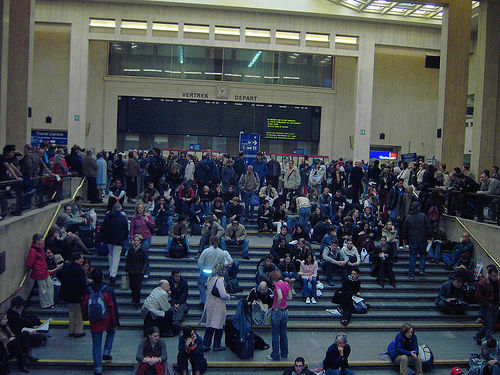 i had to take a 12 hours train in Europe because my 2 hour flight got cancelled during an airport strike! This is a very informative article on tripartism. i agree more should be done to foster such a partnership so that the topic of striking need not even be raised in Singapore. Interesting discussion on tripartism. I agree more can be done from all 3 parties. For employers to be more open to discussion, For unions to be trained to engage employers and government better, For government to facilitate the discussions between union and employers better. It need not be a win-lose situation. “look deeper, read further on facts and make our own decisions whether we should follow the trend of blaming the wrong parties” – unfortunately that is not what the keyboard warriors are doing more of as seen from the recent Little India riot episode!